International Music Summit (IMS) Ibiza has added another 20 speakers to their roster for this year's event, set to kick off from 24th through 26th May at the Hard Rock Hotel on the White Isle. 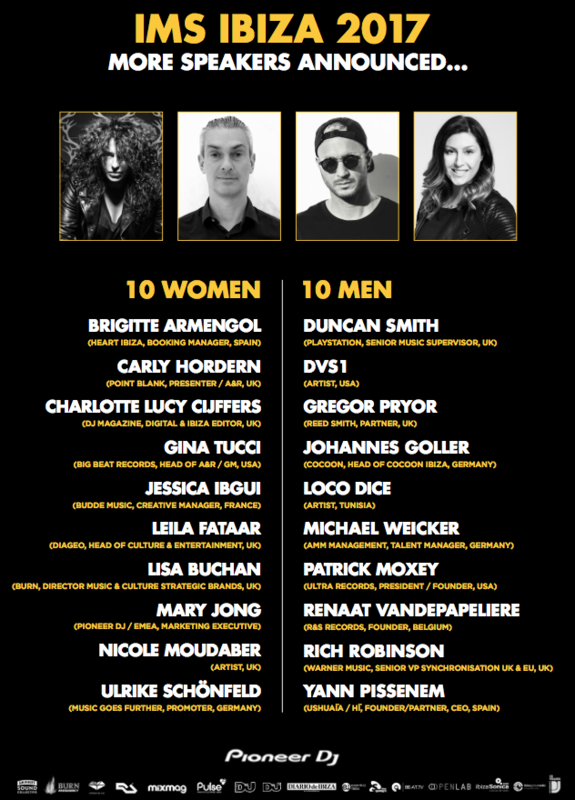 DJs including Nicole Moudaber, Loco Dice, and DVS1 will be joining the speakers list for 2017, alongside leaders from Ultra Records, Playstation, Big Beat Records and Warner Music. Hï Ibiza/Ushuaïa Ibiza owner Yann Pissenem will also speak at the conference, alongside Johannes Goller (Cocoon, Head of Cocoon Ibiza, Germany), Ulrike Schönfeld (Music Goes Further/Into the Valley, Promoter/Curator, Germany) and Brigitte Armengol (HEART Ibiza, Booking Manager, Spain), as well as DJ Mag's own digital and Ibiza editor, Charlotte Lucy Cijffers. IMS also recently revealed their annual Dalt Vila party will consist of back-to-back sets from house and techno's most influential, including Pete Tong b2b Nicole Moudaber, Dixon B2B Kenlou (Masters at Work), The Martinez Brothers B2B Kenlou, and Manu Gonzalez B2B Lollino (BURN Residency) — see the full line-up here. See the latest additions to IMS's speakers list below.